What Should I Weigh? It Depends! An obvious question to ask: What Should I Weigh? After losing about 25 pounds myself, the question finally crossed my mind. Should I try to lose even more or just maintain this new weight? On this page, I'll guide you on how to answer the What Should I Weigh question for your own situation. Despite the various "height-weight" charts and BMI calculators, the answer may be a different for everyone! I wasn't hugely overweight when I started my weight-loss journey, or in a particular hurry. I guess I figured I'd just slowly lose the pounds and get where I'd need to be eventually. But this begs the question: at what point would I finally be able to say, I've actually lost enough? To not need to lose any more weight - it would be a good problem to have, of course. But in the beginning it seemed like I wouldn't be having that "problem" anytime soon, so I didn't worry about it. 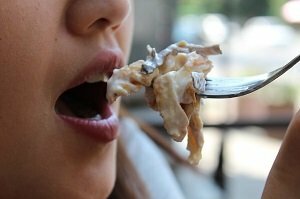 Looking back, not setting a weight-loss goal was a mistake. Goals keep us focused. They give us a means to track our progress, and to get excited as we approach milestones. I missed out on that. Without goal-setting and tracking, it's too easy to gain back hard-lost pounds without even noticing it. That's one reason yo-yo dieters gain and lose so many pounds. I may have lost the weight faster had I set some goals in the beginning. First Answer the Question: "What Is MY Goal,"
So if you are having trouble losing weight, first determine what you actual goal is before you try to pin down the answer to "What Should I Weigh," And the answer maybe shouldn't even be a number. with where we had arrived? Let me give you an example from my own situation. I'm 5 feet 10 inches tall and I weigh about 170 pounds. Based on my height, the BMI calculators say I am even now on the borderline of being overweight. However, I'm quite happy with my weight right now. So should I disbelieve the indexes? Are they wrong? Probably, in my case. BMI indexes are only a kind of average. Their formula takes into account height/weight patterns based on the statistics from large groups of individuals, then interpreted by doctors and fitness experts (presumably). 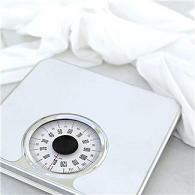 What the indexes don't do is say that when you reach a certain body mass index you will look and feel your best. They don't guarantee that you'll be pleased with what you see when you look in the mirror. Tip: Use the widget at left to check your own body mass index score. Looking back now on what I should weigh, I realize that in the beginning I unconsciously set my goal in a completely different way. I decided that I'd know when I reached my idea weight by how I looked and felt. To me, what the scale said at that point was irrelevant. Here is one important reason why: body mass indexes do not take into account someone who has above average muscle development. I've heard that body builders have been rejected from the military because they weighed too much for their height - even though their stomachs were as flat as a rock, they were bulging with muscles, and their body fat percentage was super low! 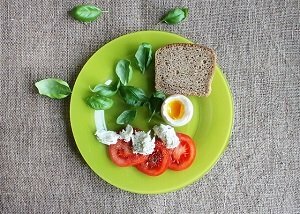 Especially since I've always included weight training in my weight loss efforts, I decided that for me, the question "What Should I Weigh" should be answered like this: I should weigh whatever weight I am at the time that my stomach is flat and I feel confident and pleased with how I look. That's my own personal interpretation. Asking the Other Questions, Besides "What Should I Weigh"
Others might aim to fit into a certain pair of jeans or a dress they wore 10 years ago. Or to not be embarrassed wearing a bathing suit. Or to limit the symptoms from Type II diabetes, or to relieve joint pain, or other medical issues. Sure, some people might even aim to get six-pack abs! What Level of Effort Am I Willing to Put In? What Am I Willing to Give Up to Reach My Goal? What Level of Weight Is Sustainable for Me? This self-inquiry will give you a foundation to answer the "What Should I Weigh" question, customized to your own goals, beliefs, and situation. Let's say you've completed your introspective inquiry and decided that the BMI index is good enough as a starting point. That's fine, too! For someone who is 100 pounds overweight, it might be too discouraging to set "a flat stomach" or "a beach body" as the initial goal. Use the BMI Calculator above to determine your body mass index, and get started. However, your goal might be more subjective. A flat stomach? Well, you may want to consider measuring your body fat percentage. For men, a body fat percentage under 9% usually reveals the abdominal muscles. For women, it's a few percentage points more. If you lose enough weight through diet and exercise to reach those levels, you'll have that flat stomach. And keeping track along the way will provide both encouragement as well as real usable information regarding your progress. 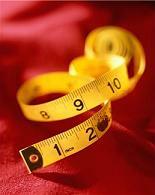 You can also take measurements using a tape measure, and write them down. Hips and waist measurements, in particular. Taking photos of yourself can also help you see how you're progressing toward that flat stomach goal. So can a simple look in the mirror (though that's more subjective). As I found myself, the answer to "What Should I Weigh" can actually be more of a process than you might expect. Some people may be happy with simply plugging their height into a body mass index calculator or looking at a BMI table. Others, though, will realize that this is not satisfactory for their situation - it's simply not enough. An ancient saying that is relevant here is "Know Thyself". You really do need to think hard about your own situation before trying to come up with an answer to "What Should I Weigh?" Because if you don't, you might just come up with some number that has no real meaning for you. It's only through passion, the desire to reach a certain goal, that you will ever achieve your vision. Even if your goal is as simple as being able to fit into a dress or pair of jeans you used to wear long ago - if the thought of it lights a fire in your heart, then it's the right formulation of the "What Should I Weigh" question. After all, the body mass index tables have been around for a long time now. But we as a society are heavier than ever. Just knowing "a number" from a calculator or a chart isn't going to get all of us to our goal of healthy, normal, satisfying weight. Mixing in the factors that are important to us personally will. Home > Exercise Tips > What Should I Weigh?